This is a rectangular Valley Express Company porcelain sign. This particular Valley Express Company sign is blue and white. 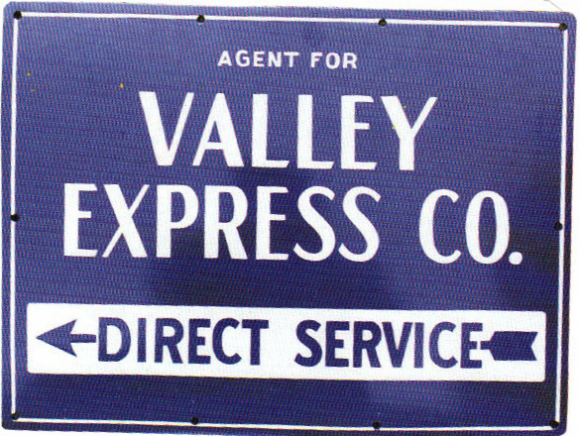 It reads, “Agent For Valley Express Co., Direct Service” and features a blue arrow pointing to the left at the bottom of the sign.